"North-East India is not an 'imagined community', separated from the politics and policies that govern the rest of the country. It is as real as the violence that has torn the land apart, leaving its people grappling for a semblance of normalcy, if nothing else. The north-east isn't just a hotbed for insurgency and deadly casual encounters, a stop-over on every international rock band's schedule, or where used syringes lie waiting in dark alleys. There are other realities as well— of forbidden love, weddings, fascinating cuisines, childhood memories and other 'unimportant stories' that never made it to our newspapers and television screens. In spite of gaining exclusive access to the region, former Resident Editor (NDTV, north-east), Kishalay Bhattacharjee struggled to broadcast stories of these multitudes. Years in the media have taught him that not all revolutions will be televised. Che in Paona Bazaar finds Bhattacharjee deep in the heart of Manipur, demystifying a state that was once just a source of 'news' for him. He delves into public memory, digging up collective histories to bring to life a people forgotten by their fellow-countrymen, of women hardened by constant hardship and of a youth struggling to merge their multiple identities. These tales are the result of a long and unflinching look into Manipur's past and present – a land rich in tradition, culture and violence – and of a people who stage their own daily rebellion by living and thriving against all odds." "Kishalay Bhattacharjee is a well known name & face in Manipur. 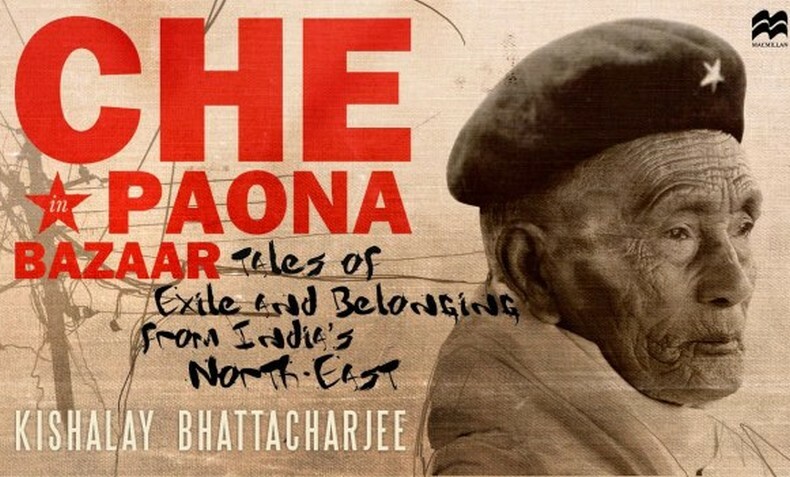 His book on North East called Che In Paona Bazar is now out in the market. Delhi is the luckiest one as it got displayed at World Book Fair 2013 currently happening here in the capital. This book is based on facts . Many of the stories are untold & unheard for people who have not lived in this part of the country. Apart from the regular stories of guns,drugs & guitar strumming, the book has encapsulated many stories about the lives of people, their love for food, music, folklore,etc. This is just the book for people who wants to know about the "North-Eastern" States & Manipur in special, as most of the chapters in the book are based in Manipur, should read. And why every Manipuri should read is an obvious answer." "
This book is now available on, Flipkart....Go Ahead, pick up your copy Now! This article was posted on February 11, 2013.